Almost every kid wants a dog but some kids need one. Ian Unger is a Type-1 diabetic. He needs to constantly monitor his blood sugar and will for the rest of his life. He has to always have supervision and can’t even ride the bus to school. In order to be as independent and social as possible, he wants a diabetic alert dog that will warn him when his sugars are off, but they can cost up to $25,000. The dogs are known to be able to give Ian a 45-60 minute heads up on a sugar crash or spike. Ian didn’t qualify for coverage by insurance or any other program so he would have to come up with the full cost. His parents told him it would probably take a few years but Ian started brainstorming. Then came the pumpkins. 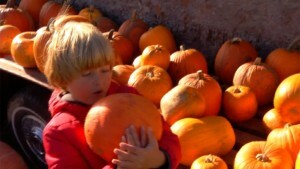 His family had grown and sold a small garden of pumpkins for decades. After his grandfather died, Ian took over. As they grew, he planned to sell them and add the money to his dog fund. He had 150 pumpkins from the garden and those sold out in a couple days. People saw his stand, heard his story and donated pumpkins, they kept flying off his cart. His story was shared across the country and those who couldn’t buy, donated online and this week they hit their goal and then some. Ian didn’t even hesitate with what to do with the extra money. 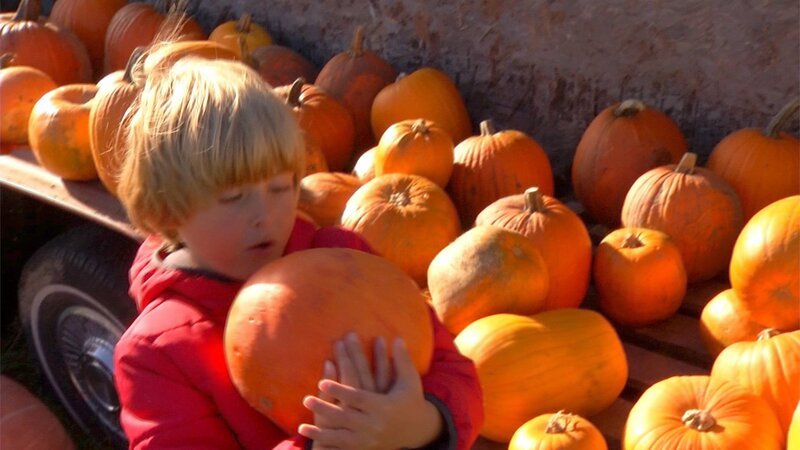 Pumpkins will change Ian’s life. His work with change the lives of several more. Ian made it look so easy with the script to roadside pumpkin sales.